This non-smoking family run establishment offers panoramic views of the surrounding countryside. Aslaich is within easy walking distance of Drumnadrochit village centre where you will find an abundance of local businesses, including Cafes, Restaurants, Pubs, Gift Shops and the Tourist Information Centre. Aslaich's ideal location makes a good base to explore and tour the Highlands of Scotland taking advantage of the many local interests, especially Hill Walking and Woodland Walks, one of which leads you to the shores of Loch Ness at Urquhart Bay, Golf, Horse Riding and Fishing, or visit the two Loch Ness Exhibition Centres which reveal the sightings of 'Nessie'. Within one hour you could be visiting Culloden Battlefield, Fort William, Fort George, Urquhart Castle and the breathtaking scenery of Glen Affric. Furthermore, Inverness the Capital of the Highlands is only 14 miles from Drumnadrochit. • Free phone service for Transport, Restaurants, Bars etc. 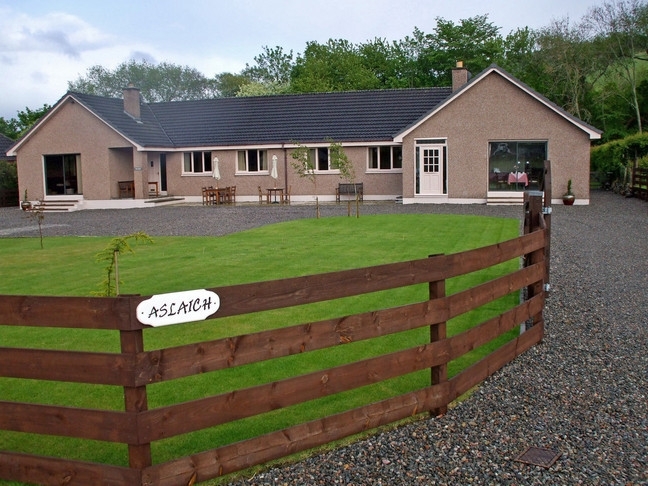 A pleasant stay, great location, accessibility to surrounding places of interest and lots of 'things to do' in and around Drumnadrochit, makes Aslaich an ideal place to stay and enjoy the Scottish Highlands.